Update 2018: UniTel Voice offers affordable virtual PBX services priced and designed for busy small business owners. It’s true, we offer a cheap virtual PBX system, however by “cheap” we mean our pricing for our hosted PBX solutions. The call quality, virtual PBX system features, and customer service we offer is world class. In fact, while other cheap virtual PBX providers skimp on customer support and charge extra for certain features – UniTel Voice offers the same great features on every virtual office phone system plan and the same level of personal customer service to all of our customers, big and small. There are no setup fees, activation fees, porting fees, and we’ll help you set everything up for over the phone or online. Of course, you can manage everything online and set yourself up in minutes if you prefer – try UniTel Voice today risk-free for 30-days and if you don’t love our phone service we’ll refund your money – no questions asked! 1. Why are virtual PBX systems so cost-effective today? There was a time when handling and operating a business phone system was very complex. However, times have changed and the technology has become a lot simpler, making sure that all your business needs are met and if any problem arises, the service providers do most of the work over the internet. The idea of a hosted phone system is that it is no longer hosted locally in your phone closet – it’s all in the cloud (i.e., online). A Private Branch Exchange (PBX) phone system is a network of phones which are used within an organization. In this type of a cloud-based PBX phone system, the users share a number of outside lines for making external calls along with the internal connections for making calls within the organization. 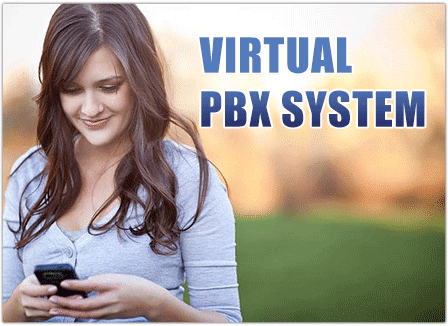 The external lines of the virtual PBX system are attached to the Public Switched Telephone Network or PSTN. Thanks to the new technology though, the PBX phone systems known as the IP PBX now have the ability to transmit messages over the internet. 2. Can a “cheap” virtual PBX be a reliable phone service to handle all my important calls? It is with UniTel Voice. UniTel Voice is only considered a “cheap” virtual PBX because of pricing. When to call quality and features and functionality – UniTel Voice sets the industry standard for quality. The greatest quality of a virtual phone system is that it provides a professional touch to the business without having the deterrents of a standard phone system. With a PBX system, you won’t need the services of an expensive and complicated phone system. However, the system still provides the modern functionality with respect to telecommunication which is needed for handling a small business or a home office. The IP PBX uses specific software to carry out the tasks like directing calls that were earlier performed by a switchboard operator. Installing a business phone system is quite complex and expensive, however, thanks to the modern technology, you can easily find many inexpensive virtual PBX providers. 3. What “technical” functionality has lowered the cost of traditional PBX business phone systems? It is one of the most convenient features of a PBX system as it is the first voice the callers hear when they call you. You can easily customize the features of the attendant to suit your needs either by allowing the callers to select the person they want to speak or by setting up a name directory. When there is no one to attend the call, the call is directed to the mailbox. The Session Initiation Protocol forking is a server that searches for different correspondents who are free to take the call within a department by looking at several different locations. Calls are routed to several locations through forking proxies which means that calls will go to various phones simultaneously corresponding to the set specifications. These calls can also be directed to your mobile phones which will make it a lot more convenient for you to attend calls. You can even use your fax machine with your VoIP phone system, for which you will need an ATA capable to support the T38 protocol and a VoIP gateway. You can also send the FAX transmissions using a computer-based VoIP system with the PBX software built into it that has FAX capabilities. Other savings in terms of maintenance and upkeep is also quite significant as you won’t need a technician to repair your phone system when it goes down. When something goes wrong with the phone connection, you just have to get in touch with your service provider and they will take care of the rest, over the internet or phone. That’s the main benefit of a hosted phone system. The low cost is just a side effect.